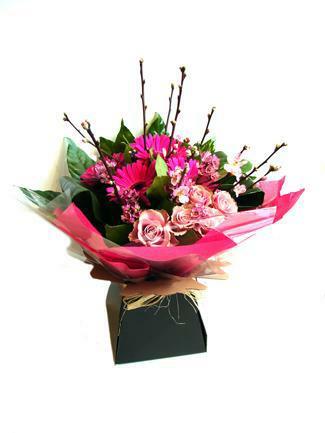 Juicy pink bouquet of old Dutch roses in a brown/pink colour, hot pink gerberas and willow. 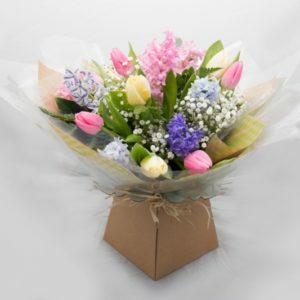 A lovely selection of flowers with a bright outlook to make you feel upbeat. 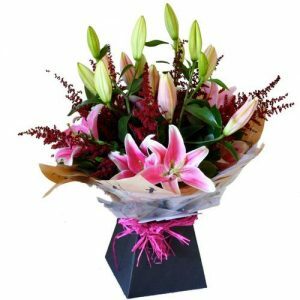 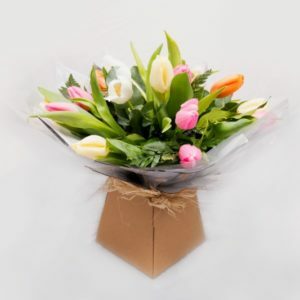 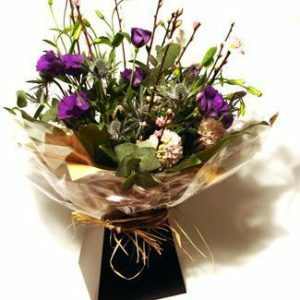 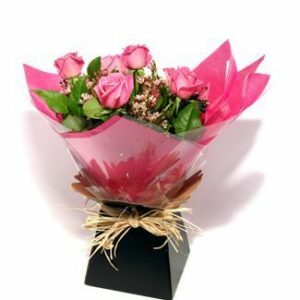 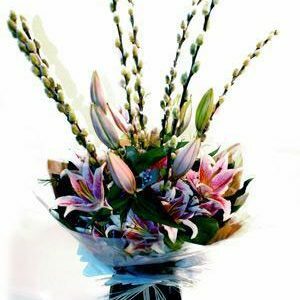 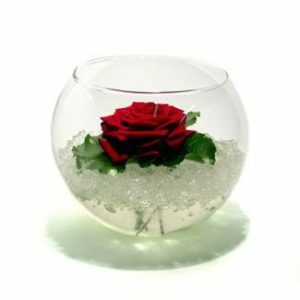 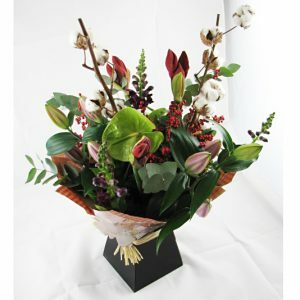 Stylishly wrapped and presented in a gift box with water to ensure the flowers reach you at their freshest..